Shaq Fu Radio NewsVideoShaquille O'Neal Is Hiring. Shaq picks Oct. 23 to open Big Chicken near Las Vegas Strip. 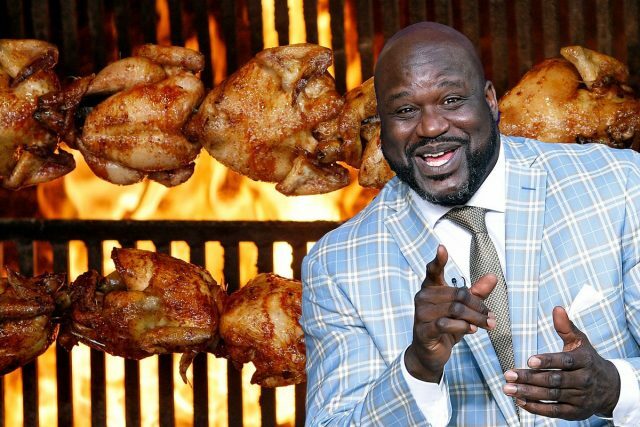 Shaquille O’Neal, Superman or His Shaqness is hiring for his new chicken restaurant in Las Vegas. The restaurant, Big Chicken, is expected to open near the intersection of Paradise Road and Harmon Avenue on Oct. 23, according to a statement Wednesday. Big Chicken will host a job fair Thursday at The Loft at Cabo Wabo inside Miracle Mile Shops at Planet Hollywood. Candidates should bring their resumes, work cards and be prepared to complete an application and possible interview on site. Open positions include bartenders, cooks and cashiers. Contact: Shaquille O’Neal at 305-204-SHAQ or Shaq@Shaqfuradio.com. Follow @SHAQ on Twitter. Od love to run this place! https://t.co/vAqjq0ucOB The Big Fella's got more than Chicken and Doughnuts to snack on now.